Fresh from an operational theatre, where UK Armed Forces personnel are working on 25th December, our image shows the 2012 Diamond Jubilee Christmas Box. 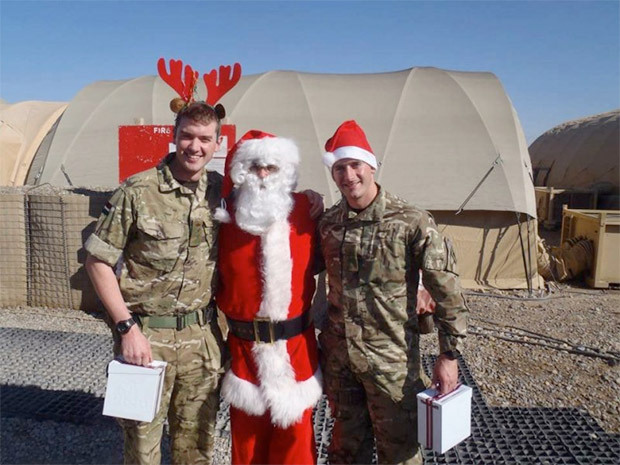 The Ministry of Defence gives their full support to Operation Christmas Box and encourage members of the public to support the troops by donating through Operation Christmas Box, rather than sending unnamed boxes via the British Forces Postal Service, because this can delay family parcels getting through at this busy time. However, there is no public funding and Operation Christmas Box rely on their sponsors and the general public to raise the finances to continue to send the boxes each year. You can help to continue this ‘gift from the nation’ by making a donation on our website.